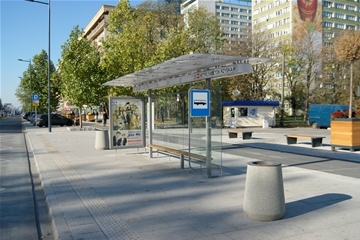 SL builds double tracks and is restoring Spårväg City Lidingöbanan in Stockholm with help from Veidekke. 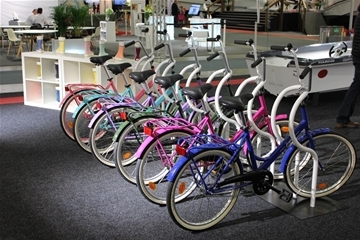 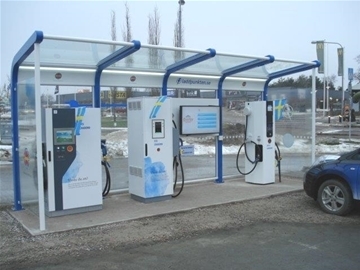 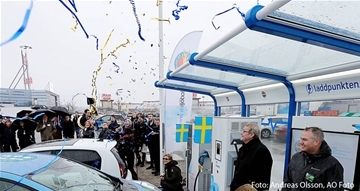 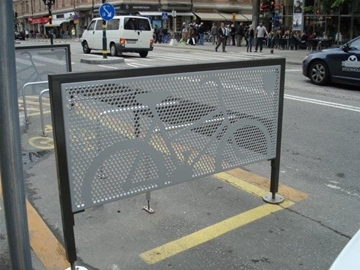 Through an agreement between Team Tejbrant and Trafikkontoret Stockholm, the first of a total of 100 so-called bicycle parking paddocks have been delivered. 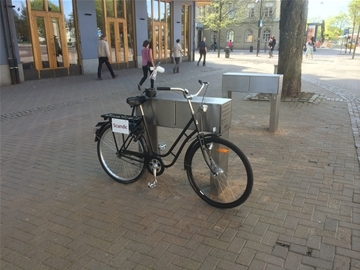 During May, the residents in the municipality of Karlstad are able to try out Team Tejbrant´s new product "Helmut". 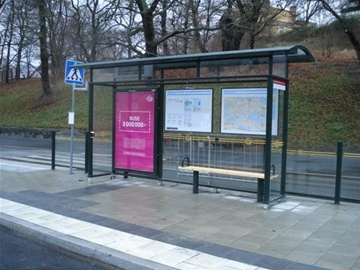 "Design and construct bus shelters of the future"
for Spårväg City´s stations on Djurgården in Stockholm. 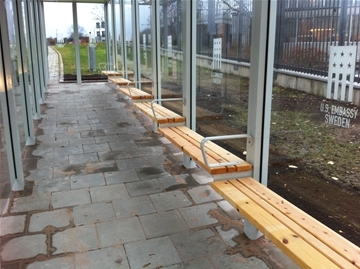 To these stations, Team Tejbrant has delivered and assembled weather shelters, glazed railings, benches and information boards. 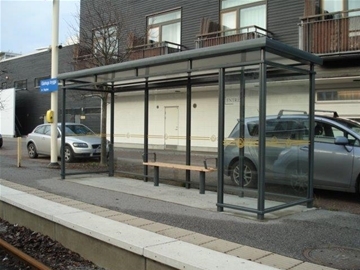 The people queuing in consular matters, are now protected from rain and wind. 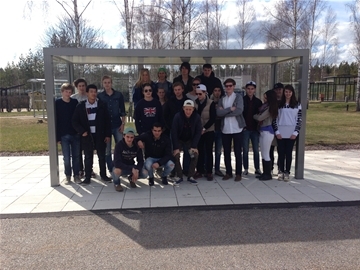 Last December we delivered and assembled a SHARP shelter outside the Ambassy.